Look sweet on your girl's most important day in Allure Bridesmaids 1571! 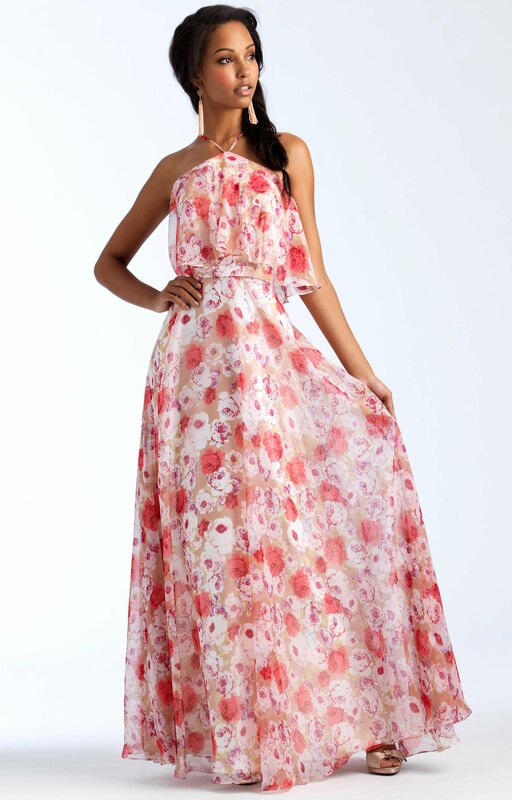 This sweet bridesmaid gown is composed of a lightweight floral printed chiffon material. A ruffled overlay bodice is held into place with a high neckline. 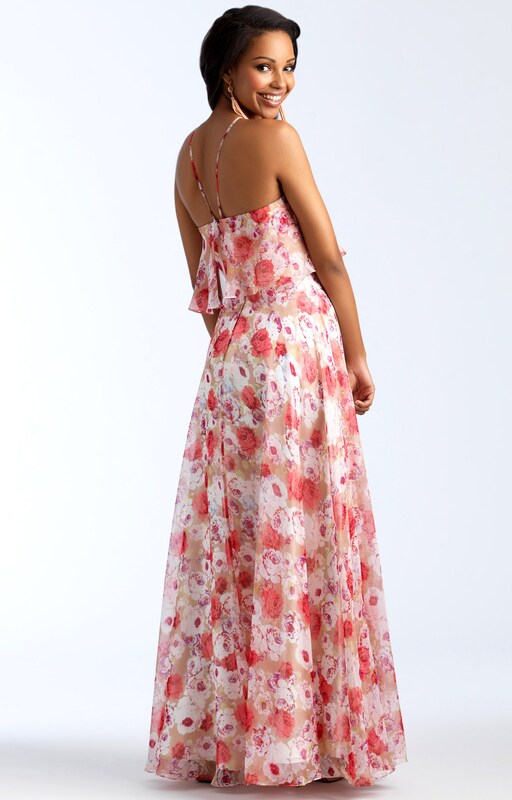 The A-line silhouette makes this a fun dress to hit the dance floor in!